Building Efficiency Resources (The BER) is proud to announce that we are an EPA WaterSense® New Homes program Provider. Although encouraging the development of energy efficient buildings is our primary focus, The BER recognizes that water – the most basic necessity of all life – is rapidly becoming an endangered resource for many communities. 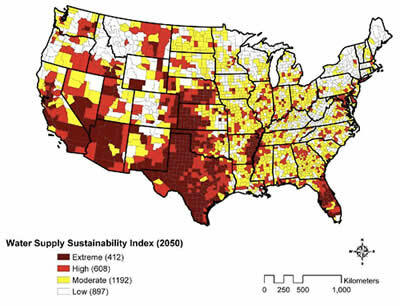 Many states throughout the US already face water shortage, while many more look to be in jeopardy of water crisis in the near future. 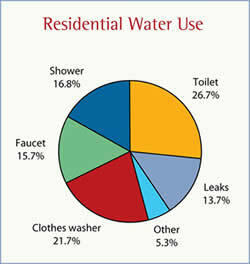 Furthermore, there is a much greater link between energy use and water efficiency than most people realize. Learn more about the correlation here. 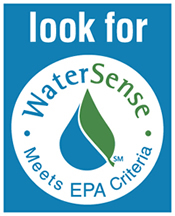 In order to address this issue of critical importance, the US Environmental Protection Agency (EPA) WaterSense label was developed in order to recognize innovative and functional water-efficiency products, such as low-flow toilets, water fixtures, and shower heads. In 2009, the EPA unveiled their WaterSense New Homes program, a voluntary labeling program for new homes that are proven to reduce water usage by at least 20%. The EPA WaterSense New Homes program is in many ways a lot like the ENERGY STAR ® New Homes program; builders looking to distinguish their homes for their efficiency or sustainability features work with a WaterSense Inspector to verify that their homes are designed and built to meet the criteria of the WaterSense New Homes program, much in same way that a Certified HERS Rater works with a builder to certify a project for ENERGY STAR, LEED for Homes ®, or another energy efficiency certification program. The WaterSense New Homes program is broken down into two main categories - indoor water-efficiency and outdoor water-efficiency. The home is leak-free; leaky plumbing is not only a major contributor to water wastage, but can also serve as a durability issue. The static pressure of the plumbing system does not exceed 60 PSI to ensure that water fixtures in the home perform to their rated flow capacity and that no harm is done to the home’s plumbing system. The hot water distribution system is efficient, so that minimal water is wasted by homeowners waiting for water to heat up at a fixture. Water fixtures, such as toilets, urinals, shower heads, and faucets are WaterSense labeled, using minimal water while maintaining a high level of performance. Appliances, such as dishwashers, clothes washers, and other water-consuming appliances are efficient, thus minimizing excessive water consumption. Outside the home, the WaterSense program is concerned with the landscaped areas of the home. This component of the program includes inspection of landscaped areas to ensure that erosion and evapotranspiration are minimized, while also promoting water-efficient irrigation. Raters familiar with the LEED family of programs will no doubt recall a fun equation for water budgeting from the Water Efficiency category based on local evapotranspiration rates, species coefficients, and rainfall averages. WaterSense also includes a similar series of calculations to determine whether the landscaping for a project is designed to reduce water consumption by at least 20% versus a reference standard. Thankfully, it is not the responsibility of the WaterSense Inspector to perform these calculations; the Inspector will instead verify the work of a WaterSense irrigation partner. The beauty of the WaterSense New Homes program is that a WaterSense Inspector may also serve as the Certified HERS Rater for a project, thus allowing the Rater to offer a builder a competitive package of services that combines the required WaterSense design consultation and inspections into the existing workflow for an ENERGY STAR project. In conjunction with ENERGY STAR New Homes certification, WaterSense offers builders who desire to set themselves apart from their competition additional efficiency credibility without adding much additional cost; it is a minor price increase to incorporate the various products that earn the WaterSense label, while many of the other requirements of the program simply require some strategic planning and design. Thus, the combination of ENERGY STAR and WaterSense could be very enticing for a builder who wants to go beyond ENERGY STAR, but doesn’t want to pay the consulting/program fees associated with a program like LEED for Homes. Going a step further, the Rater could also work with the builder to provide EPA Indoor airPLUS ® New Homes certification, thus giving a builder the marketing advantage of offering a home that is verified to be energy and water efficient, comfortable, durable, and safe, all backed up by a nationally recognized standard. To learn more how BER can help you sell WaterSense, contact us.